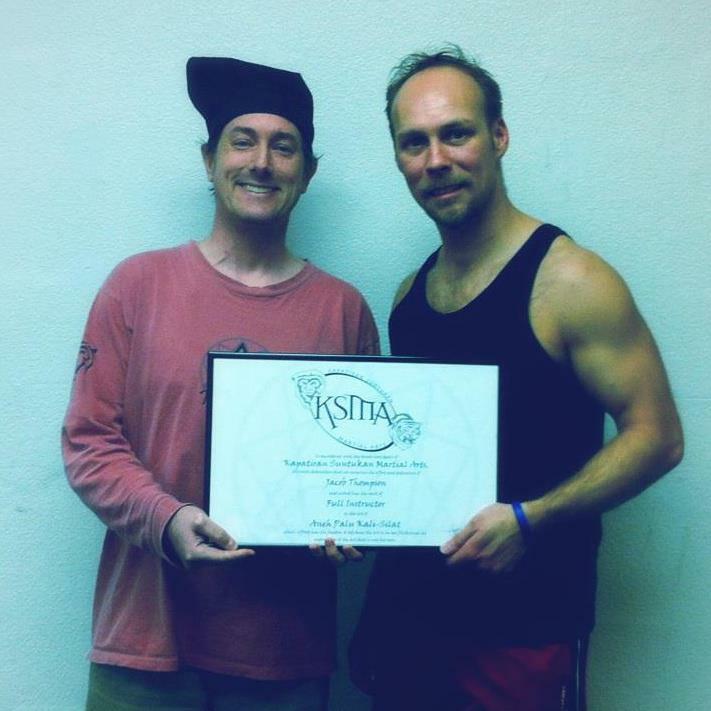 On February 6th, 2013, Jacob Thompson was awarded the rank of Full Instructor in Aneh Palu Kali-Silat. Jake has been training with me for over a decade and has taken in the information, made it part of his daily life and turned into his own. He has a great way of teaching and while the material can be complicated at times, he makes it comprehendible. I am honored to have known him and even more so to call him a dear friend and wish him the best.